Manhattan District Attorney Cyrus R. Vance, Jr., today announced the indictment of VINCENT LOPRETO, 52, MARCO SAVERINO, 34, and PAUL MOTTA, 50, for stealing approximately $400,000 from dozens of art buyers through an international scheme involving the sale of counterfeit art. 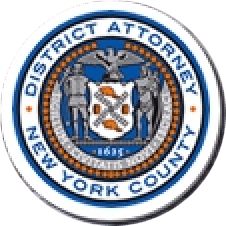 The defendants are charged in a New York State Supreme Court indictment with Grand Larceny in the Third and Fourth Degrees and Scheme to Defraud in the First Degree, among other charges. According to the indictment and documents filed in court, between October 2015 and February 2017, the defendants stole hundreds of thousands of dollars from the victims of an international art fraud scheme involving the sale of counterfeit pieces of contemporary art. As part of the scheme, LOPRETO used a stamp, printer, and other tools, which were later recovered after a search warrant was executed at the defendant’s apartment in New Orleans, to create fake prints in the distinctive style of Damien Hirst, a well-known English artist. Working with SAVERINO—and later, MOTTA, as well—the defendants advertised the fraudulent prints online as authentic, limited edition prints signed by the artist and valued at thousands of dollars. The defendants also used fake documentation, including fraudulent certificates of authenticity and purchase receipts, to deceive their victims into believing that the pieces were genuine originals. In total, the defendants stole approximately $400,000 from dozens of buyers around the world, including victims in the U.S., U.K., Germany, Italy, Macedonia, South Africa, Canada, Taiwan, and South Korea. Four fraudulent sales were made to Manhattan residents and two more sales were made to an undercover investigator posing as a buyer. LOPRETO previously pleaded guilty to Identity Theft in the First Degree and Scheme to Defraud in the First Degree in January 2014 for selling forged pieces of art, which were similarly advertised online as original Damien Hirst prints. In May 2014, the defendant was sentenced to 2-to-4 years in state prison. Assistant District Attorney Jaime Hickey-Mendoza is handling the prosecution of the case, under the supervision of Assistant District Attorney Julieta V. Lozano, Deputy Chief of the Major Economic Crimes Bureau, Assistant District Attorney Christopher Conroy, Chief of the Major Economic Crimes Bureau, and Executive Assistant District Attorney Michael Sachs, Chief of the Investigation Division. Rackets Investigators Samuel Morales, Matthew Dato, and Angel Estremera, and Senior Rackets Investigators Anthony Santoro, Thomas Mullin, and Richard Ramos provided additional assistance with the investigation, under the supervision of Supervising Rackets Investigators Donato Siciliano and Steve Akselrod and Chief Investigator Walter Alexander. Principal Financial Investigator Angelo Dellicarpini, working under the supervision of Irene Serrapica and Robert Demarest, Deputy Chief and Chief, respectively, of the Forensic Accounting and Financial Investigations Unit. Paralegal Jonathan Spira also assisted in the investigation of this case. District Attorney Vance thanked the following agencies, individuals, and entities for their assistance with the investigation: the Hirst Authentication Committee; PayPal; eBay; the Yavapai County Sheriff’s Office in Arizona, Detectives Chad Shilling and Jason Dubien, and Sergeant Brandon Rumpf; the 8th Police District of the New Orleans Police Department and Detective Aldeane Valentino; Yavapai County Attorney’s Office and Deputy County Attorney Steve Young; and the Orleans Parish District Attorney’s Office, and Chief of Special Projects Page Cline.